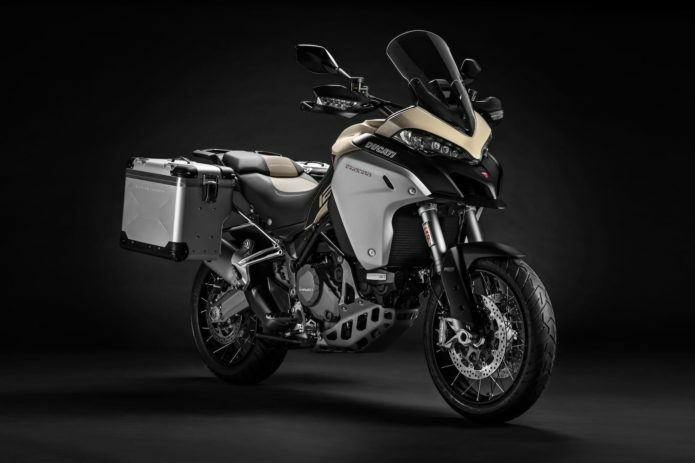 When the Ducati Multistrada 1200 was launched in 2010, it became the do-all motorcycle for many riders that chased a combination of performance, in-town comfort, long-distance touring and the ability to go off-road. Ducati marketed the bike as having “endless transformation” due to four riding modes (Sport, Touring, Urban, Enduro). These modes worked, but as for the “Enduro” mode built for off-road, the Multistrada lacked a bit. This was mostly due to the 17-inch alloy wheels and 5.3-gallon gas tank that would provide about 180 miles under “normal” riding conditions (read – not fun).